Fundraising is a fantastic way of achieving remarkable life goals with the warm knowledge of giving back to charities and those in need. It is also a powerful way to help companies build employee and company engagement. Emma Hallam is Founder of charity Alex’s Wish conquering Duchenne Muscular Dystrophy (DMD) – an aggressive life-limiting muscle wasting condition that affects 1 in 3,500 boys born across the world. Emma’s passion to set-up a charity, came about when her 3-year old was diagnosed with DMD back in 2010. Emma has 26 years’ experience in marketing, events and branding for big corporates including Experian, Alliance & Leicester and Mortgage Advice Bureau at senior level. Join us as we discuss the important job Alex’s Wish does, and how fundraising can help you achieve remarkable life changing goals and yield incredible results for your company! Emma Hallam – Founder of charity Alex’s Wish conquering Duchenne Muscular Dystrophy (DMD) – an aggressive life-limiting muscle wasting condition that affects 1 in 3,500 boys born across the world. 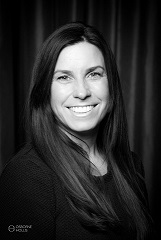 Emma has 26 years’ experience in marketing, events and branding for big corporates including Experian, Alliance & Leicester and Mortgage Advice Bureau at senior level. Emma’s passion to set-up a charity, came about when her 3-year old was diagnosed with DMD back in 2010. There are no effective treatments and certainly no cure for DMD, which leaves boys paralysed by late teens and leads to an early death mid-late twenties. Emma works tirelessly on all aspects of fundraising initiatives and raising awareness through public speaking and appearing on TV/radio. Emma will raise £1M by 2020 and is well on the way to achieving this target and plans to bring new treatments to save this generation of boys. Emma has won several industry awards for her efforts in supporting the Duchenne community.